Our award-winning, and always incredibly beautiful, tradestand will be coming to RHS Chelsea Flower Show again this year. The stand is a key part of the Hartley Botanic year and we work with the most exciting garden designers to bring our handmade Greenhouses and Glasshouses to life. Last year our contemporary Opus Glasshouse displayed orchids in pretty ‘sweet shop’ colours, our imposing Victorian Lodge was bursting with dramatic ferns, a Hartley Planthouse in Iron Grey framed delicate looking alpine treasures and our practical Grow & Store was growing a variety of edibles. Come and see the finest Greenhouses money can buy in person and be inspired. 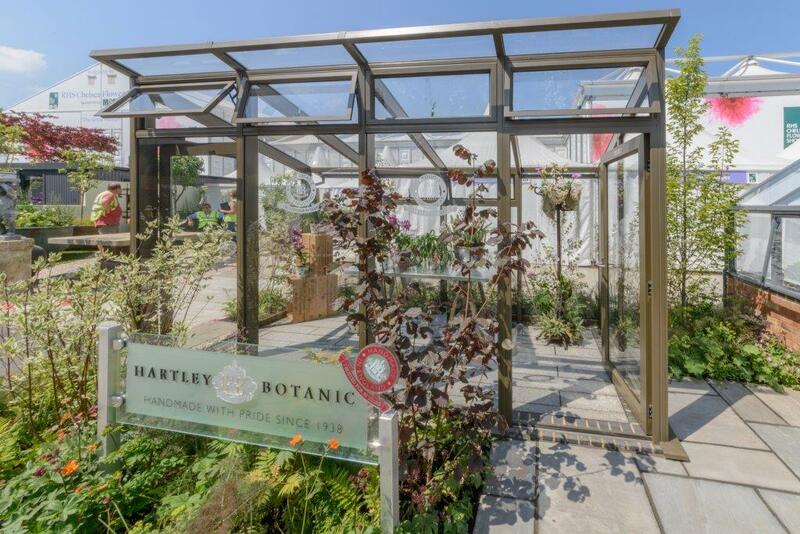 If you’re attending RHS Chatsworth this year, we would love to meet you on our award-winning Hartley Botanic stand, to see our Greenhouses and Glasshouses spectacularly brought to life with the most beautiful of planting schemes. Last year’s visitors to our Chatsworth stand saw our Victorian Lodge filled with tropicals, our contemporary Opus Glasshouse dressed as a chic al fresco space, a grey Hartley Planthouse setting off an impressive succulent collection and our practical Grow & Store growing modern edibles. Chatsworth is a great way to help you visualise how you might make the most of your Hartley Botanic Greenhouse or Glasshouse, and this year is no exception. We are thrilled to announce that we will be exhibiting at RHS Hampton Court again this year. We love this more down-to-earth show whose discerning visitors look for inspiration which they can then apply to their own gardens. 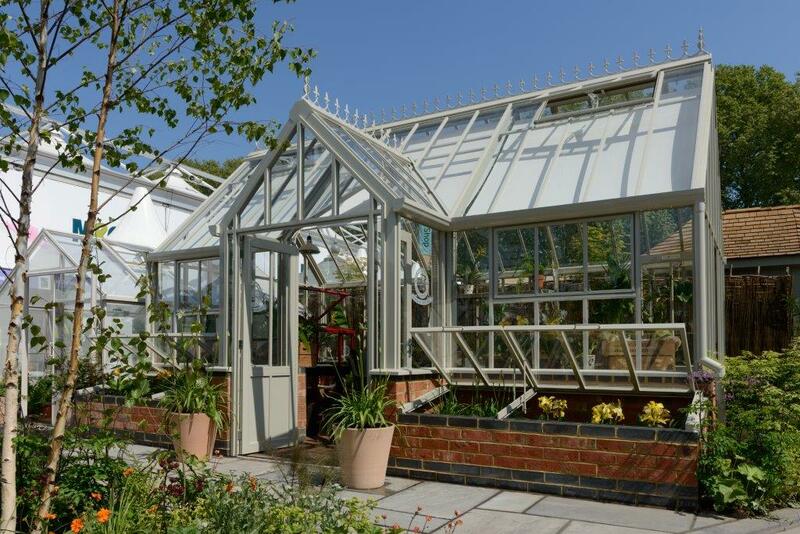 Our team on hand will be able to advise on how you can make a Hartley Botanic Greenhouse or Glasshouse truly your own. 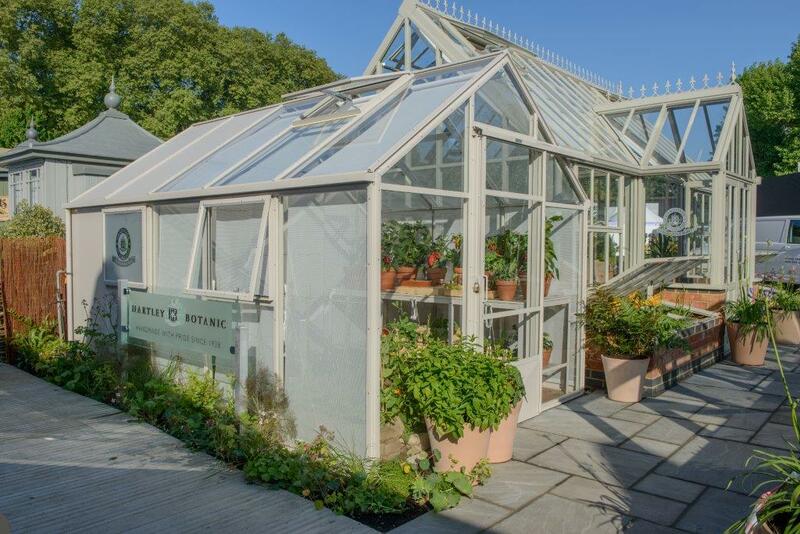 Last year our Greenhouses and Glasshouses stepped back in time with a planting scheme inspired by the plant hunters and collectors of the past. Visitors to our stand enjoyed candy-coloured orchids in our contemporary Opus, a Victorian-style fernery in our Victorian Lodge and a grow-your-own display in our practical Grow & Store. Our stands are award-winning and a great way to help you visualise how you could best make use of your Hartley Botanic Greenhouse or Glasshouse.